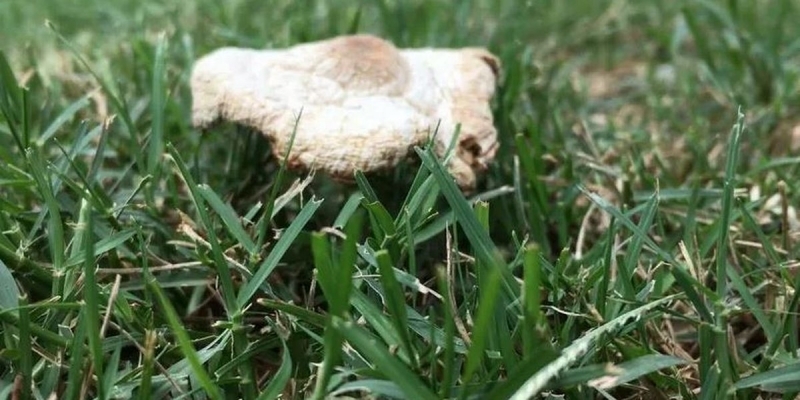 Experts warn that those mushrooms can pose a danger to us and especially to our pets. It doesn’t take much rain for those mushrooms to pop up in our yards. They can magically appear overnight, and your dog can get into them when you let them out in the morning. That’s why smart dog owners and veterinarians say, you’ve got to watch out for the danger. Dog owner Kenzie Bennett of Waco keeps a close eye on where she takes her dogs, especially after a good amount of rain. All that dampness causes mushrooms to pop up, just about everywhere and anywhere. "They’re everywhere in our backyard, well, they were. We mowed the grass because it was so tall from all the rain and then we made sure to pull them up so that they’re all gone," Bennett said. Why? She worries what the mushrooms might do to her dog. "We’re concerned about them chewing on them because she gets into everything," Bennett said. It’s a good thing too. Veterinarians say wild mushrooms present a potentially deadly danger to our four-legged friends, when they eat them. "It can be anything from just minor little lethargy which is basically some tiredness and a little bit of GI upset, all the way to severe neurologic issues like seizures and comas," said Dr. Lori Horn of the Cottonwood Creek Veterinary Hospital. She says not all mushrooms pose a danger, but unless you’re an expert you’d never know. Experts say the best way to protect your pet is to stay aware of their surroundings as you would a small child and stay extra vigilant about anything they might get into. And if the worst happens, get medical help, quick. "If your dog eats a mushroom, pick up whatever mushroom it is and try to get your dog to spit out the rest and bring your dog in," said Dr. Horn. She says you can’t be too careful with your pet, so she recommends keeping your yard clear of the fungus, like Bennett who won’t let her pet near them. "It’s concerning. So, if I see one, we’re either leaving or I’m picking it up," said Bennett. So, remember, if your dog starts nibbling on wild mushrooms, get a sample of a whole one, including the section underneath the dirt, bag it and take it and your dog to a veterinarian immediately. The faster you get to a vet the better your pet’s chance for survival. The ASPCA has a poison control hotline for a charge of $65 per incident at 888-426-4435 and web help on their website. There is also a Pet Poison Helpline at 855-764-7661 for a charge of $59 per incident, and web help on their website.